After a summer of amazing live musical options in the D.C. area, this fall offers another great slate of live music options. Here are some of the notable artists who will be performing in the D.C. area in the coming months. The revival of reunited ‘90s alternative bands continues when Lush hits the 9:30 Club on Wednesday, Sept. 21 (815 V St., N.W.). The mood shifts dramatically two nights later when funk pioneers George Clinton and Parliament Funkadelic roll through the 9:30 Club on Sept. 23. The same night, superstar comedian and actress Amy Schumer will take the stage at the Verizon Center. 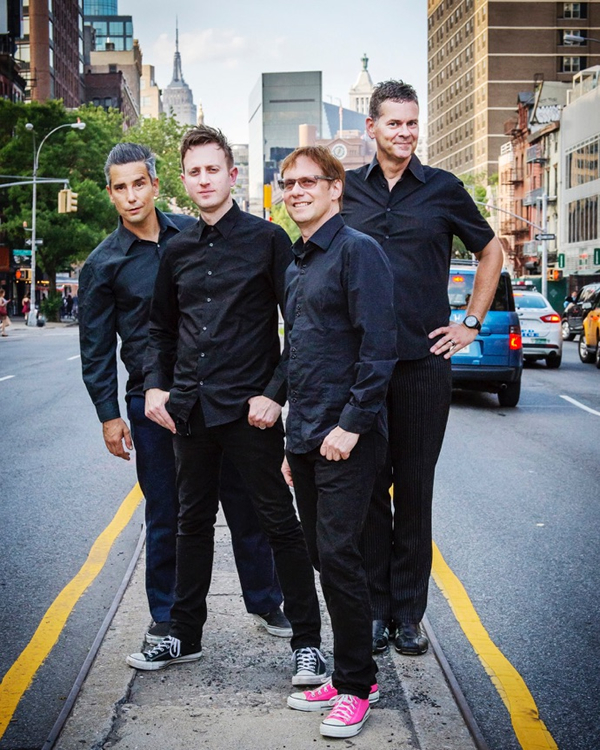 Openly gay band Pansy Division, founded by guitarist/singer Jon Ginoli and bassist/singer Chris Freeman in 1991, will be at Hill Country (410 7th St., N.W.) on Sept. 22. Latin/pop singer Marc Anthony will play EagleBank Arena (4500 Patriot Circle, Fairfax, Va.) on Sept. 30. The All Things Go Fall Classic is a festival to be held on Oct. 8 at the Yards Park (355 Water St., S.E. ), with headliners Passion Pit (featuring openly gay lead singer Michael Angelakos) and Empire of the Sun, along with local bands like Buredo, Shake Shake, Takorean and others. October leads off with some heavy hitters shaking the foundations of the 9:30 Club. Bastille plays Oct. 2 followed by a rare opportunity to see supergroup Green Day in an intimate setting on Oct. 3, indie favorites Warpaint on Oct. 4 and veteran rockers Taking Back Sunday on Oct. 5. Against Me!, led by transgender vocalist Laura Jane Grace, will bring its hard-rocking vibe to the Fillmore (8656 Colesville Rd, Silver Spring, Md.) on Oct. 6 along with alternative rock titans Bad Religion. The Black Cat (1811 14th St., N.W.) will host electronic duo Crystal Castles on Oct. 8. British superstar Adele will electrify fans at the Verizon Center for two nights on Oct. 10-11. Electronic music pioneer DJ Shadow will be at 9:30 Club on Oct. 13, with ‘90s alternative rockers Teenage Fanclub playing the following night. Popular indie-pop/electronic group Chvrches will play two nights at Echostage (2135 Queens Chapel Rd., N.E. ), Oct. 17-18. Queen of Bounce Big Freedia hits the Howard Theater (620 T St., N.W.). on Oct. 18. Legendary LGBT icon Melissa Etheridge returns to D.C. for a show at Lincoln Theatre (1215 U St., N.W.) on Oct. 19. On the same night Sia will bring her current tour to the Verizon Center. The edgy South African rap combo Die Antwoord play Echostage on Oct. 23. Drag comedian Bianca Del Rio hits Lincoln Theatre three days later, on Oct. 22 and lesbian artist Tig Notaro plays the same venue on Oct. 27. Also on Oct. 27th, a must-see show by the celebrated lesbian duo Indigo Girls will take place at Rams Head Live (20 Market Pl., Baltimore). November brings a remarkably diverse and impressive group of artists to the D.C. area. The month starts with the acclaimed alternative/folk singer/songwriter Suzanne Vega at Birchmere (3701 Mt Vernon Ave., Alexandria, Va.) on Nov. 1. The ultra hot British pop/rockers Foals will play Echostage on Nov. 3. Two R&B heavyweights, Maxwell and Mary J. Blige, will grace the stage of the Verizon Center on Nov. 6. Legendary gospel diva Sandi Patty has embarked on “Forever Grateful — the Farewell Tour,” and she will stop in D.C. on Nov. 6 at Sligo Seventh-Day Adventist Church (7700 Carroll Avenue, Takoma Park, Md.). 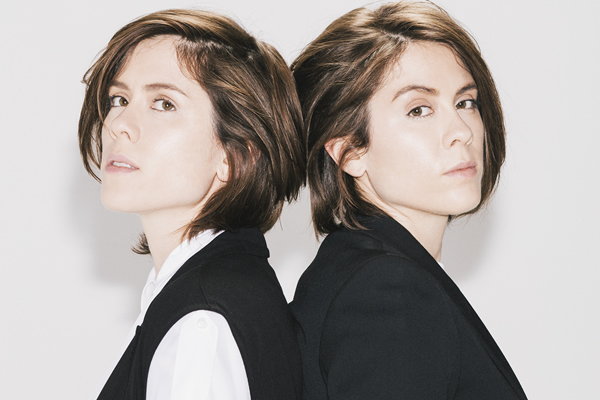 The ever-popular lesbian duo Tegan and Sara will hit the 9:30 Club for two nights on Nov. 6-7. One of the hottest bands of recent years, Grouplove, will play Echostage on Nov. 9. Lesbian country singer Brandy Clark plays Birchmere on Nov. 10. Electro-pop superduo Pet Shop Boys return for one of the season’s most highly-anticipated shows Nov. 11 at the Warner Theater (513 13th St., N.W.). An amazing double bill featuring the Pretenders and Stevie Nicks is at the Verizon Center on Nov. 14 will be one of the year’s most exciting shows. Country legend Loretta Lynn will be at Lincoln Theatre on Nov. 19. Lesbian comedian Suzanne Westenhoefer will entertain fans at the Birchmere on the same night. Acclaimed singer/songwriter Patty Griffin is also visiting Birchmere, on Nov. 21. Two outstanding R&B artists take the Warner Theatre stage on Nov. 25 — Lalah Hathaway and Musiq Soulchild. Popular indie-rockers STRFKR stops by the 9:30 Club on Nov. 30. After about seven years of touring with (pretty much) the same set list, Diana Ross is finally switching things up. She’ll perform three nights Dec. 1-3 at the Kennedy Center with the National Symphony Orchestra Pops under the direction of Conductor Steven Reineke. December begins with the sweet mellow vibe of Norah Jones for two nights (Dec. 2-3) at the Warner Theatre. Folk/pop mainstay Dar Williams will be at Birchmore on Dec. 2. Local electronic music pioneers Thievery Corporation return to the 9:30 Club on Dec. 15. John Waters, one of the great filmmakers of our generation and a gay icon, will appear at the Birchmere on Dec. 20.